This book explains how to use and adapt these techniques and how to integrate these methods with more traditional qualitative research. 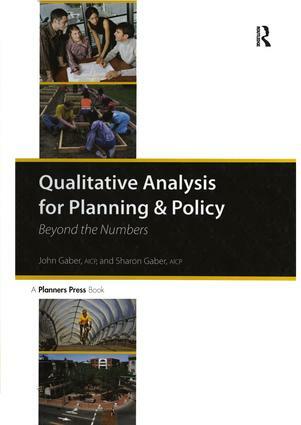 Chapters offer step-by-step guidance to setting up various kinds of qualitative research projects, collecting data, organizing data, and analyzing data. Case studies show how a mix of qualitative and quantitative research can help planners build consensus and tackle large, complicated projects.